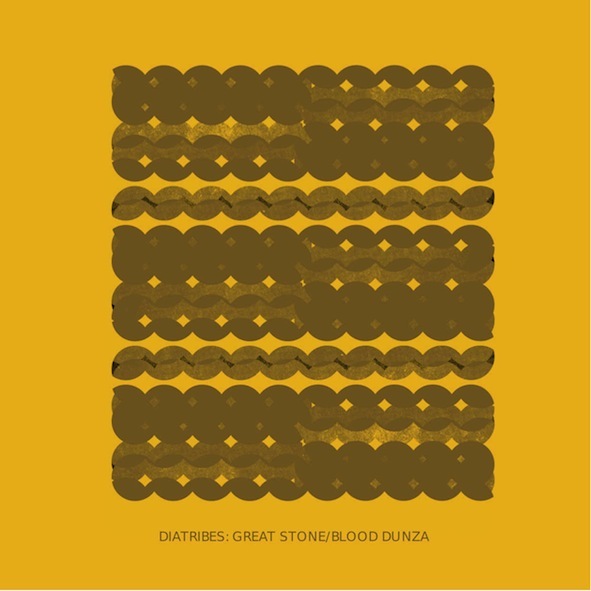 ECHOES & SIRENS is Diatribes' new step in the research on a possible relation between dub and experimental music, pushing further what they initiated with "Great Stone/Blood dunza" (aussenraum, AR-LP-003). They follow the history of dub music, from King Tubby's minimalist remixing techniques to the second life of this music in England and the rise of a new generation of sound systems. The concept of this album follows a path of four tunes, all classics of the early 80's period, considered as four imaginary moments of a sound system night, each one being then processed under different sonic and structural perspectives. The music on this LP is not dub music, nor a dub version of experimental music, it's not remixes nor figurative lanscapes. Like a tension between silence and the deafening experience of a sound system at full volume, it takes the risk to conjure many references. 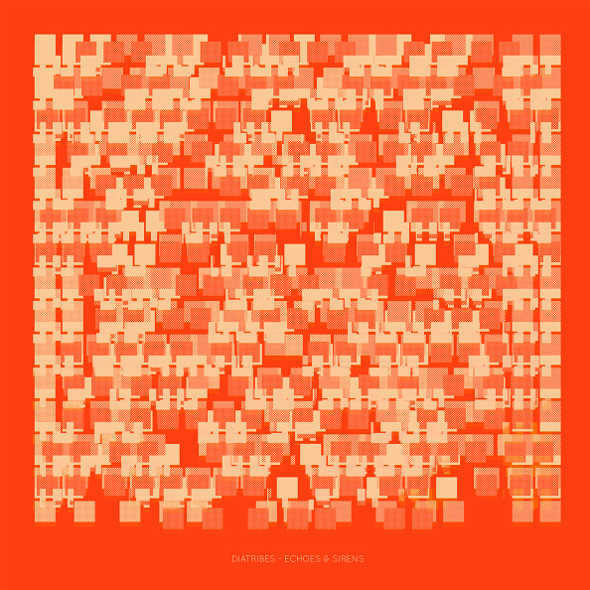 For this release Diatribes (Cyril Bondi: drums, electric organ, d'incise: electronic, samples, delay, melodica) are being joind by Raphael Ortis (electric bass) and the HORNS quartet (Pierre-Antoine Badaroux: alto saxophone, Betrand Denzler: tenor saxophone, Louis Laurain: trumpet, Fidel Fourneyron: trombone). 200 copies on 180g vinyl, cut by Flo Kaufmann. Biblioteq Mdulair is an orchestra made of some 15 analogue function generators played by Swiss based artists Emma Souharce and Daniel Maszkowicz. In their concerts they often collaborate with the analogue modular video synthesizer SYNKIE creating a total audiovisual symbiosis with dozens of CTR televisions. This first release is a live performance recorded at Cinéma Nova in Brussels (Belgium): a hypnotic ambient noise evolving towards a magma of colliding frequencies growing in intensity with an acid beat climax. The music constructs itself before a dripping decomposition from a telluric harsh noise landing down to a soft stroll under a light rain. 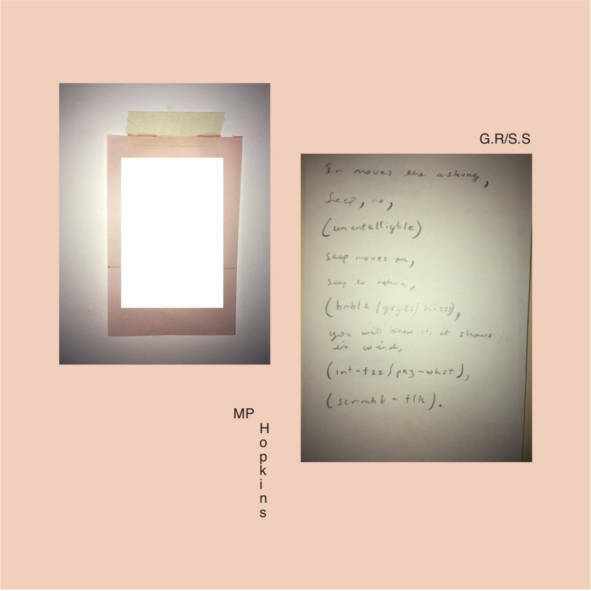 A full length LP by the eminent Australien sound artist MP Hopkins. The first side "The Gallery Rounds" consists of three pieces which were assembled from field recordings made at various art galleries, museums, and other institutional buildings. The raw materials captured at these sites was not focused on particular artists, or kinds of artwork, but rather, on various unintentional combinations: outside traffic and construction work blending with the sounds of videos and kinetic sculptures; human activity and the sounds of the buildings themselves merging with performances, artist talks and lectures, and various other exterior intrusions into designated spaces of culture. The idea was to present an audio diary from the perspective of the listener/viewer, the consumer of culture, that hopefully reflects something about the nature of this consumption: sometimes engaging, occasionally confusing, and often tedious. "Scratchy Sentence" is a piece that was arranged from recordings made at Melbourne Electronic Sound Studio (MESS) over several sessions throughout 2016. Some sort of electronic, scratchy dialogue between human and non-human. 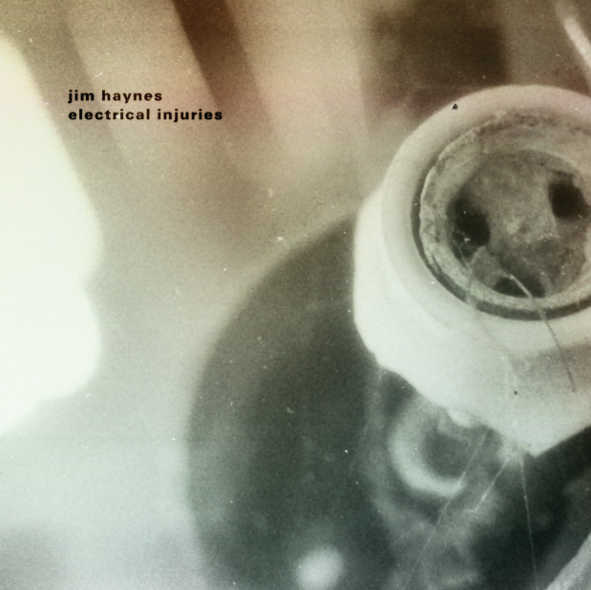 Jim Haynes on the album: "electrical injuries was designed as an intense record. something akin to a sustained self-immolation. the themes of corrosion and dislocation central to the research. similarly, the source material and the means of production also maintains a lineage that dates back to my earlier compositions and designs. i still use shortwave radio, electric disruptions and varispeed motors along with a smattering of synthesized sound that have recently blossomed from a long-term residency at the recombinant media labs. i find myself deliberately pushing these tools to engage with more volatile frequencies and to pursue more aggressive strategies for upheaval. the ruptures are more acute. the harmonic dissonance is more pronounced. in this context, the concepts mentioned above become more existentially stark, eschewing the poetics of residues in favor of an accelerated disintegration. torn, ripped, blown apart, dissolved in acid, left to rot, atomized, electrocuted." 200 copies on 180g vinyl, cut by Flo Kaufmann, mastered by Giuseppe Ielasi. "Exploring the nature of the way, the body is a tool, thought is a program. All the manic, quiet, extreme, abnormal have been preset by procedures and tools, noise is the carrier of breaking all the rules, only impaling nothingness will real make you get rid of the contradiction between voice and body, between body and mind." That's how Mei Zhiyong describes his work and anybody having witnessed one of his performances can only agree. Mei Zhiyong is without doubt one of today's most exciting live act in the noise scene and aussenraum records is proud to present two performances on this LP. Following Mei's first Europe Tour in 2015 ("Ritual Protest Music", together with Dave Philipps) we selected Mei's second and last performance for this LP. First, a concert in Geneva's cave12 and then, around a month later, Mei's appearance at the Lausanne Underground Film Festival. The recordings are raw and un-treated; some would consider them as "not cut-able on vinyl" but thanks to the mastery of cutter Flo Kaufmann one can now listen to Mei's astonishing work on vinyl. The cave12 performance contains fragments of human utterances and abrupt changes whereas at LUFF the audience was exposed to a constant assault with more fluid transitions and even rhythmic patterns. Both concerts are a good example of Mei's excellent control of his equipment and improvising capabilities. 300 copies on 180g red vinyl with a cover by Flokim Lucas. Vernissage was on 25. June 2016 at Nuit des images in Lausanne. Live concert in presence of Christian Marclay. 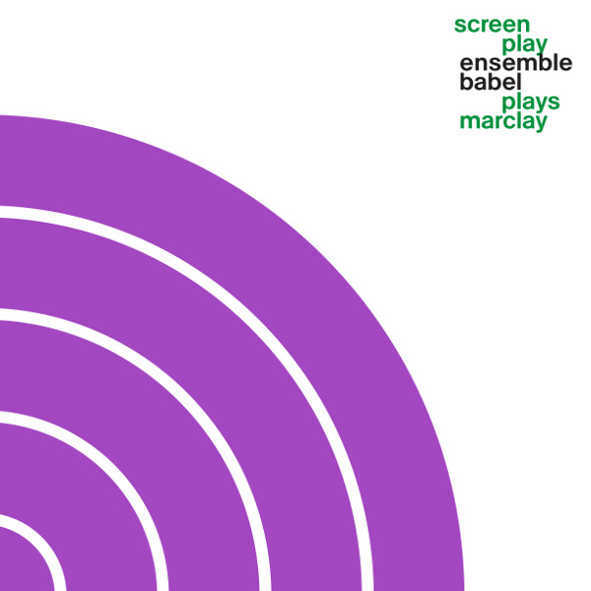 EnsemBle baBel has been collaborating with Christian Marclay since 2012. On this double LP we can hear three compositions: Screen Play, Shuffle and Graffiti Composition. Screen Play is a moving image musical score in which found film footage is combined with computer animation to create a visual projection to be interpreted by live musicians. One of the ways that performing a visual score differs from performing tradition musical notation is that the musician cannot read ahead to anticipate what comes next. With Graffiti Compositions ensemble baBel interprets a graphical score. End of the last century Christian Marclay posted blank music sheets around the streets of Berlin. After they had been covered with graffiti 150 sheets had been assembled to form a graphical music score. Finally, with Shuffle Christian Marclay explores the presence of music as graphics in our daily lives - a musical score compromised of photographs printed onto a deck of cards. 300 copies 180g Vinyl double LP, cut by Flo Kaufmann, cover by Francis Baudevin and Nicolas Eigenheer. NEVER-NEVER-NEVER: The ultimate cry for freedom, not a revindication, not a position, but the fullness of dreams: the will to do it, do whatever, the way I want. Not even do, no hopes, no future, just the state of "NOW", will not change will not move, you can do whatever you want I NEVER - JAMAIS! - will and not even shall I listen to you. You can torture me, don't feel the pain, don't even care. NEVER never even was a close cousin to "NO", NO is statement NO is rebellion, NO is a position, against, not good, try something else, no good, a proposition, when NEVER is just pure dreaming, alone in space, no past, no nothing - NEVER lets you change your mind as often you only want, no consequences, since NEVER made it happened, I NEVER said anything like this and who are you and what are you talking about? NEVER puts this sound, any sound, in front of that one, or follows it, just because, no rules, no esthetics, concerts for empty rooms - JAMAIS de la vie! - you have not seen it and maybe there was nothing to see and when was it after all. NIGDY w zyciu, and you can't prove it anyhow. You can't argue with a dream. Never, never in (your) life. Two pieces, seemingly appearing out of the void, culminate - and fade away. 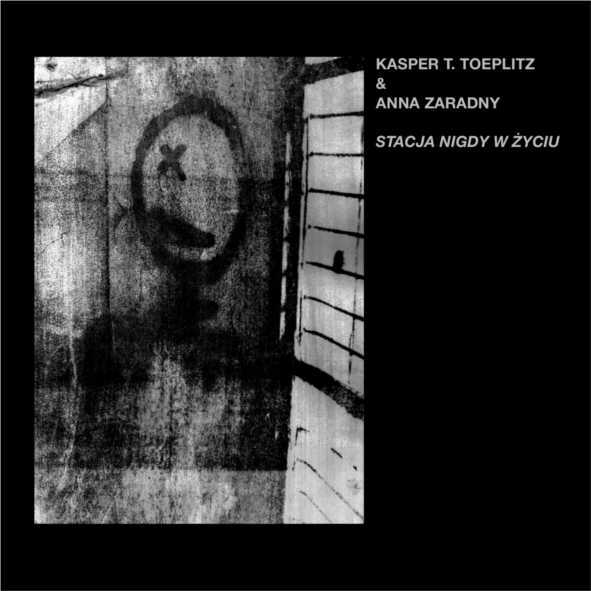 It's at "Station Never in Life" ("Stacja Nigdy w Zyciu" in Polish) where Kasper T. Toeplitz and Anna Zaradny meet for their first duo LP. At the station we experience their music like giant wagon trains slowly passing by. Incredible rich textures emerge and disappear again - a permanent reconstruction, an architecture of loss. The recording features Anna Zaradny on saxophone, playing the instrument in her unique way emanating sounds you might have never heard before and Kasper T. Toeplitz on bass as well as both of them using computers. This is at the same time and old project and a brand new one, or perhaps one in perpetual becoming: the two artists have already played together in many occasions in the past, but this time it is a project for a long-term collaboration, a way to explore the passing of time, trying new forms each time, working on the architecture of the proposed music but also the one of the venue in which the sounds will exist: a perpetual reconstruction of a crushed architecture. 300 copies on 180g vinyl, cut by Flo Kaufmann, cover by Coste-nine. 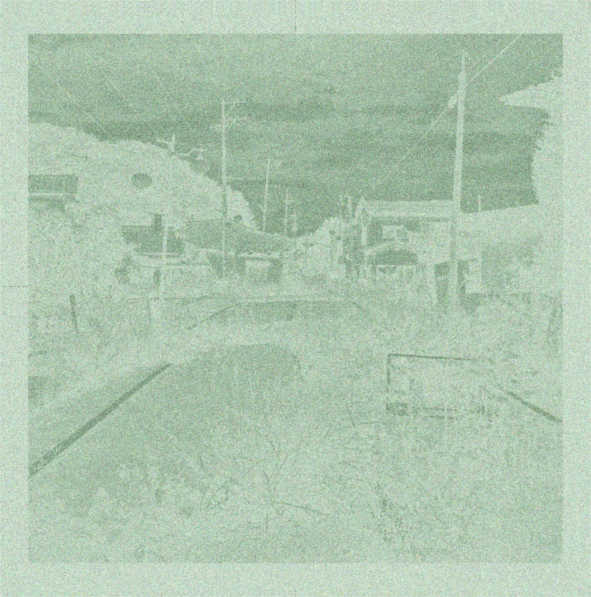 Reviews: a closer listen, Vital Weekly, zdzwiekiem, le son du grisli, FÖRDÄMNING #10, Bad Alchemy 90, The Sound Projector, STILL SINGLE, neural 55, Chain D.L.K. Diatribes deconstruct two classical roots reggae tunes from the 1970's. The sources are extended to an electro-acoustic approach resulting in two highly detailed textures of completely different character. Spring reverbs, noises, chords and even rythm fragments appear and disappear. 300 copies on 180g vinyl, cut by Flo Kaufmann. 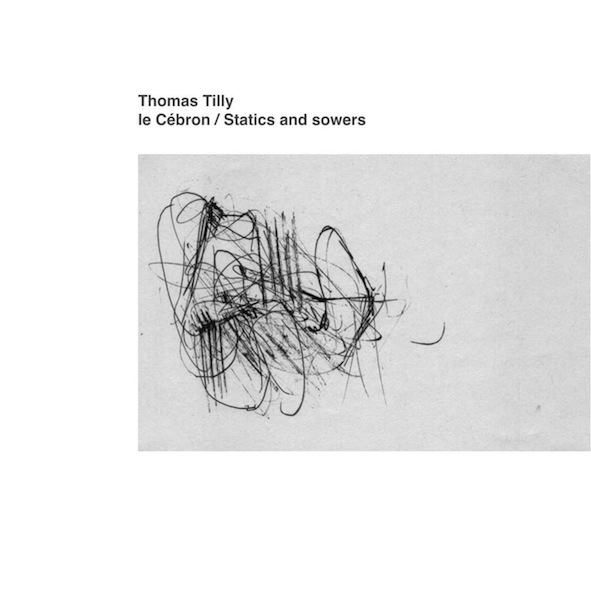 French sound artist Thomas Tilly uses unique field recordings as material for compositions. 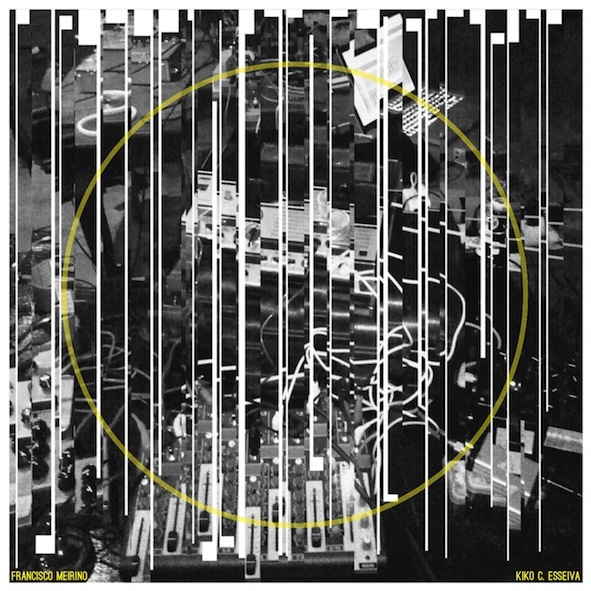 This LP presents two pieces: Le Cébron is based on recordings done on a frozen lake. Statics and sowers uses recordings from beehives as well as feedback from a mixing board. Edition limited to 300 copies on transparent 180g Vinyl. Drawings by Jean-Luc Guionnet. Mastered by Giuseppe Ielasi. Cut by Flo Kaufmann. 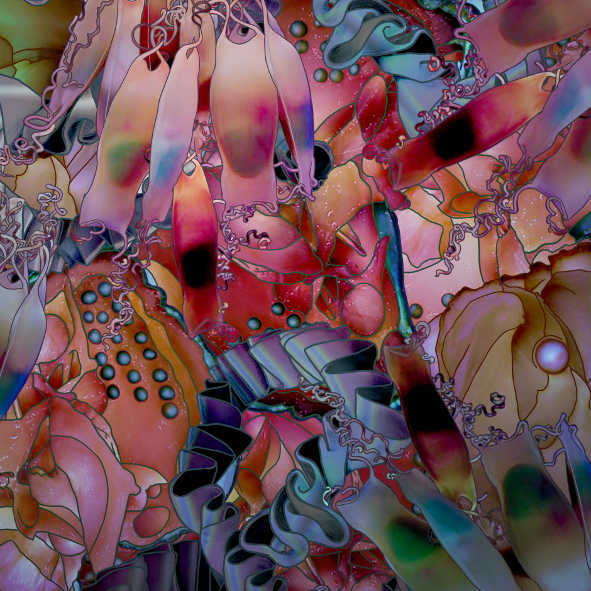 A unique work stemming from a studio collaboration between Francisco Meirino and Kiko C. Esseiva. Using the same source material each artist composed one side of the LP. 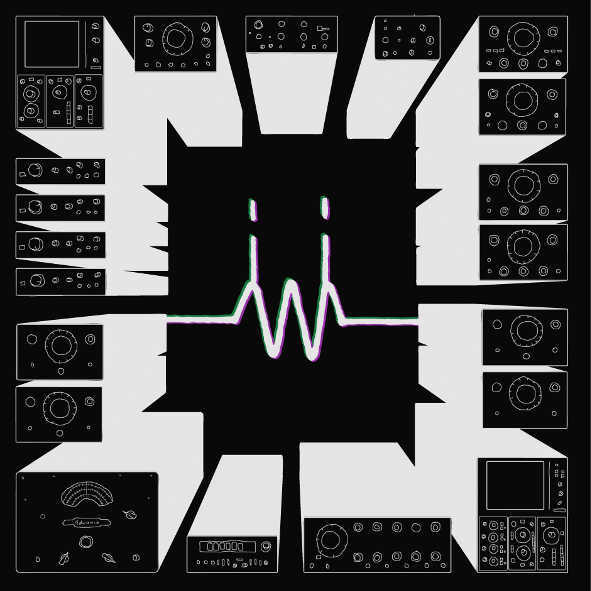 Assembled in 2012 and 2013 from hours of multitrackrecordings using reel-to-reel tape recorders, emf detectors, piezo trancducers, analogue synths and various homemade sound objects. Discover, compare, enjoy the work of these two sound artists! High Quality 180g Vinyl with excellent sound - not at least due to the cut done by Flo Kaufmann. Numbered edition of 300 copies. Below are the rates for ordering several LPs. Please state in the PayPal message which LPs you want. All prices include shipping. AR-LP-006 (double LP) counts as 2 LPs. aussenraum records is a Swiss label run by Andreas Unterkircher. Shipping conditions: Swiss Post "MiniPac International Economy". Contact me if you want a different shipping option or if you are based in Switzerland.